The Artwizz SecretCase, an iPhone case with a concealed card compartment, is both stylish and secretive. Two cards can be safely stored behind the inconspicuous flap on the back. In addition to the proven high-grade protective properties of our protective cases, the integrated stand adds another multifunctional component to the SecretCase. 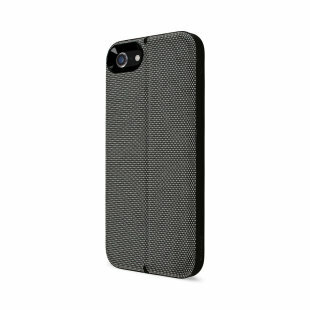 The fabric cover lends your iPhone Case a touch of extravagance that you can be proud of. This iPhone case has a discreet back flap that hides a secret card compartment with space for up to two cards. The compartment’s clasp is unobtrusive and barely visible. You can get to your cards quickly at any time by simply flipping open the backside of the case, making it especially practical for key cards, bank cards or tickets for public transport. To remove the cards, you only have to slide them out and put them back just as easily. Leave your wallet at home and enjoy the convenience of this iPhone case with card compartment.